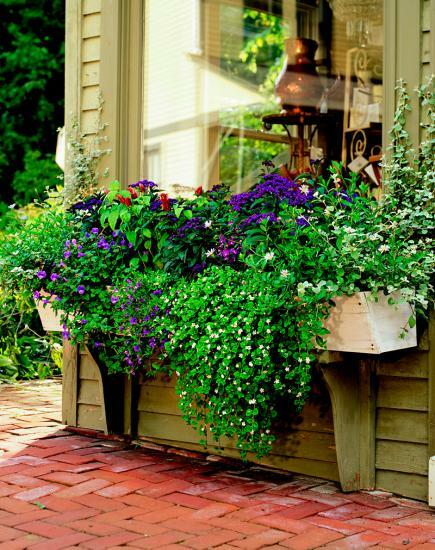 window box adds living personality to your home. Sun or shade, there is a combo that will suit your setting and style. Variegated trailers dangle over the edge of this box filled to brimming with cottage favorites including hibiscus, impatiens, pansies and periwinkle. 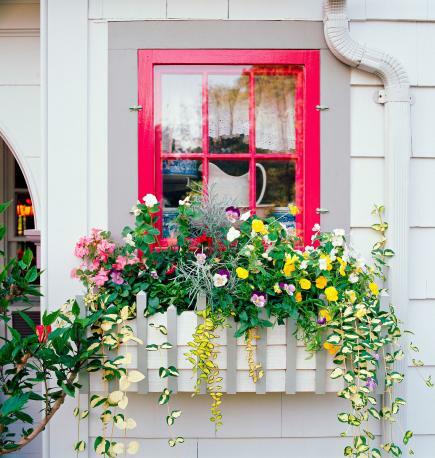 Even low-hanging boxes can provide a bold element to a home’s exterior. Bright varieties like ‘Bridal Bouquet’ bacopa, torenia ‘Catalina Blue’, calibrachoa ‘Cabaret Purple’, ‘Marine’ heliotrope, ‘Read’s White’ daisy and licorice vine guarantee it won’t be passed by. Fuchsia impatiens stay vivid even in dim settings. 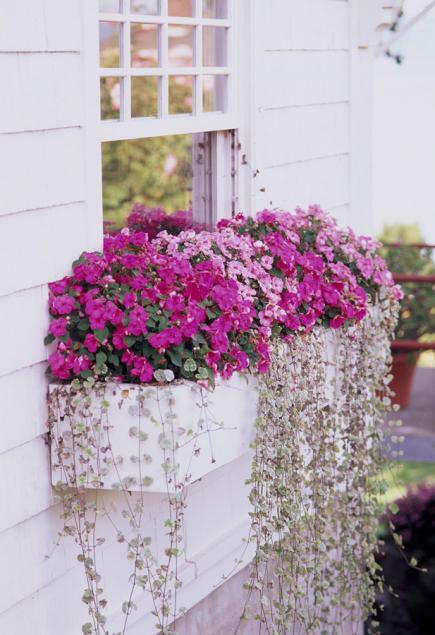 The shade-loving flowers create a sweet scene when brimmed with dichondra, a foliage that can trail up to six feet. Though generally considered accent plants, coleus ‘Dark Chocolate’ and draping sweet potato vines layer to create a bold statement all on their own. Contrast their clean lines with an eclectic mix of potted alternatives, like petunias, cordyline and impatiens. 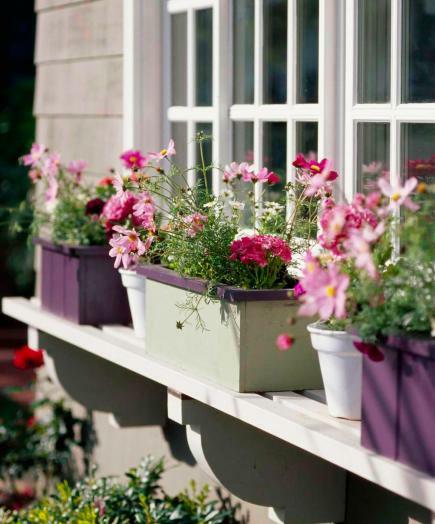 Two white pots and three window boxes in coordinating colors line a sunny shelf. 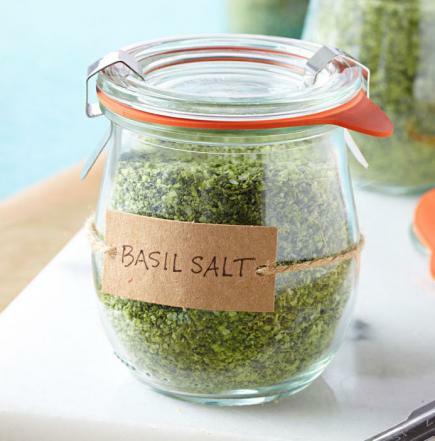 Fill with plants with ferny leaves, such as daisies or coreopsis, for an airy look.